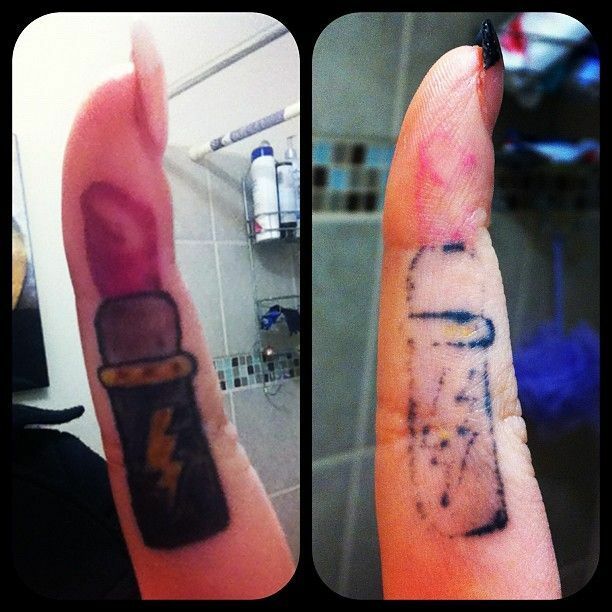 Finger Tattoos : Bad Idea. When it comes to finger tattoos do as we say not as we do unless you don’t care about the outcome. When you have a lot of tattoos, and you decide to go to your hands and finger you understand that they are a novelty and do not stay or look good for long. 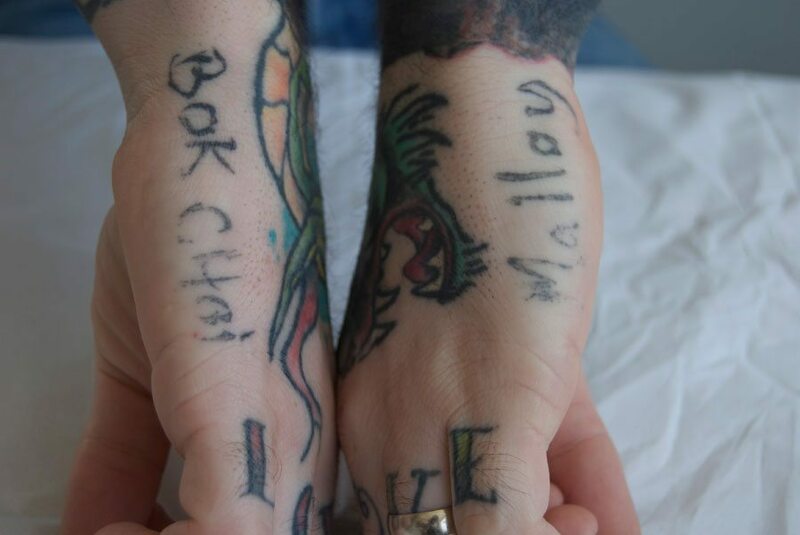 We recommend you don’t get your fingers or pads, or your hands tattooed. Not because we are not skilled(take a look at our portfolios) it’s because it’s the nature of the area and the makeup of the skin. to work and make money so trust us:)! When you get your feet tattooed stay off the pads. The pads of your feet also extend up the sides. They wear off period. No matter how many times you retouch them they wear off. 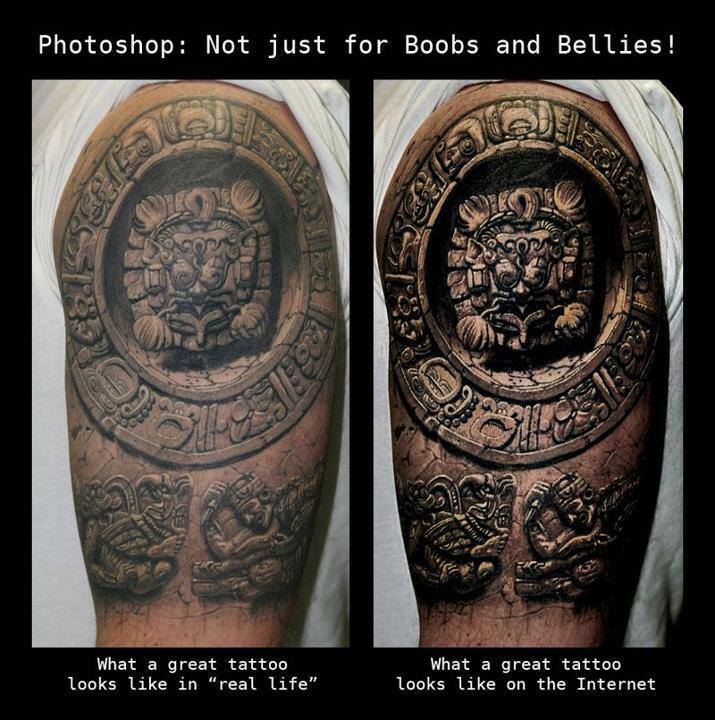 Re-touching a tattoo like this money sinkhole in having it retouched. 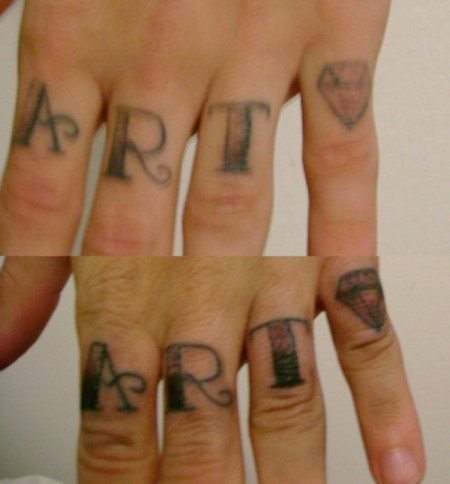 Most professional tattooists will advise you not to do this. When getting a foot tattoo, do not get it on the pad or heal. 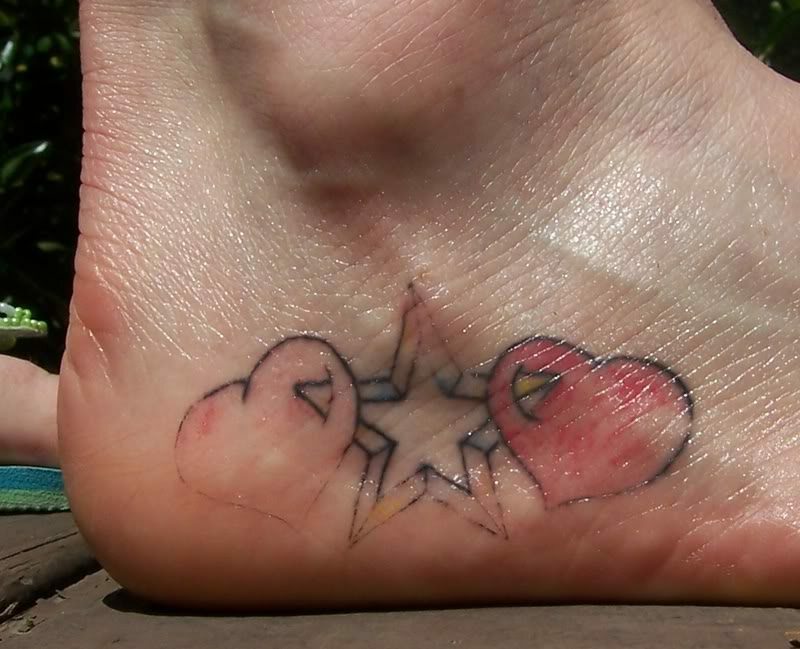 The top of the foot recovers nicely, but you must be able to not wear socks or shoes until the tattoo heals. (About two weeks) It’s important, or you will rub the tattoo off during the healing process. 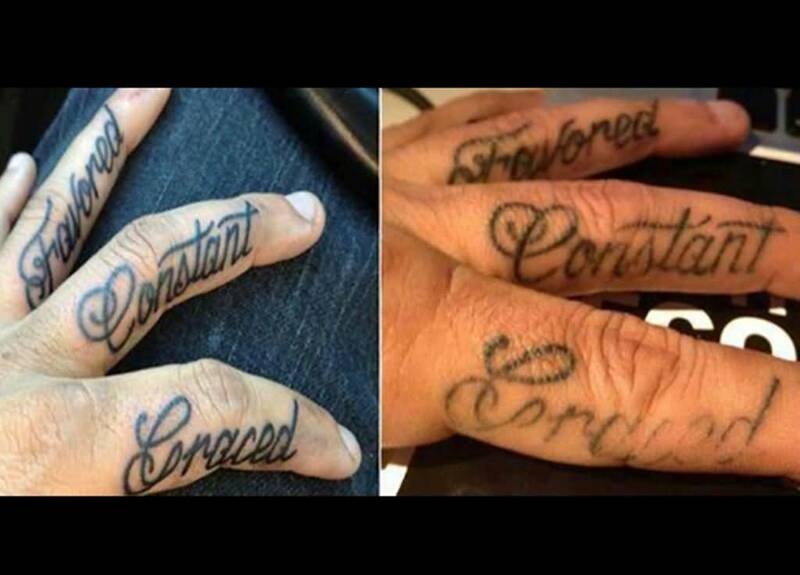 NO matter how good the tattooist is that does the tattoo the result is always the same. White in is meant to be used as a highlight and is only truly white when laying next to a color. 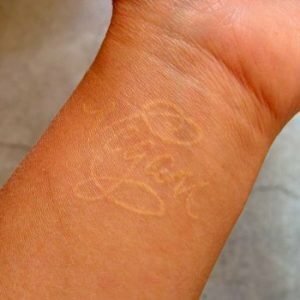 White ink tattooed in the skin, the tattoo may end up looking like a scar. It will turn dull and fade more when bared to the strong sunlight. 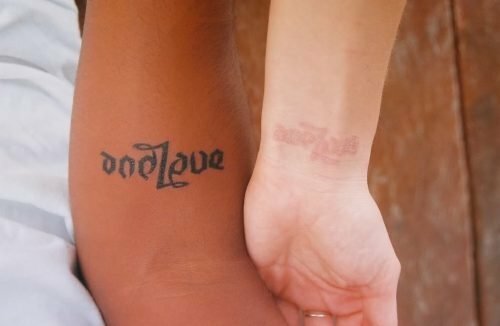 The chemical composition of the ink can fade when exposed to the intense light as will any tattoo ink, but white is more susceptible. Take care of your tattoos and keep them out of the sun. At the end keeping your skin out of the sun will be good for your health. Too much sun ages the skin faster and thus fades and ages the tattoo. We give you this advice out of love and compassion. We want you to know the facts.